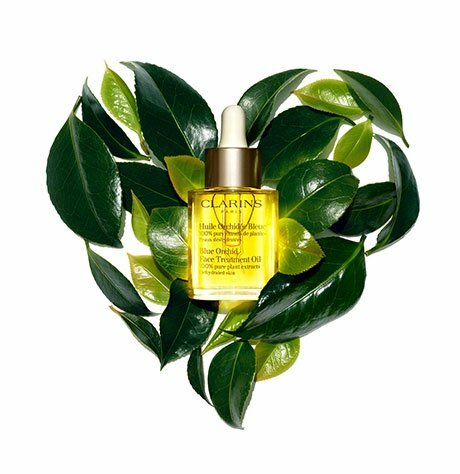 Clarins’ exclusive, plant-infused complex — with soothing Licorice extract — helps prevent and neutralize body odors without interfering with the natural perspiration process. Proven, long-lasting action ensures all-day freshness and comfort. The ideal complement to Eau Dynamisante Invigorating Fragrance and Eau Dynamisante Moisturizing Body Lotion. Rated 5 out of 5 by Jardin from Tried them all and love this one I have searched for years now to find a natural alternative to chemical laden deodorants and all have failed our Texas summers. Not this one - I love it! The smell is wonderful and it does a great job. I highly recommend. Rated 5 out of 5 by Snappy1 from The best deodorant in the World! I don't use antiperspirant because of the chemicals that can cause health problems. I've been breast cancer free for almost a decade. This is the only brand that tackles my extreme BO which is why I gave up on only wearing deodorant before I got cancer. Dumb! This works as well, if not better than any antiperspirant and it is safe. It smells great and keeps me fresh! Rated 5 out of 5 by Vespa from Healthy deodorant I love this deodorant because it is healthy – no aluminum! I wish it came with a roll - on option, which I'd opt for instead of a spray. It did take a while for the aluminum junk to get out of my skin and for me to feel like it effectively covered all day. On long days I re-apply to stay fresh. I have officially decided to use this for the rest of my life! Rated 1 out of 5 by Ceci from It doesn't not do the job I like Clarins but I am very disappointed with this product. It does not protect all day and the smell is like a inexpensive men cologne and too strong. Sorry .. Rated 5 out of 5 by Taxi from Spray deoderant! The only non aerosol deoderanf. Sprays right on, same fragrance as the cologne and no cakey buildup underarm. Rated 5 out of 5 by Luna from Excellent product! This deodorant is the best I've ever bought, been using it for years and will never change. I highly recommend it. Rated 5 out of 5 by physical1 from Eau Dynamisante, BEST on the Planet! 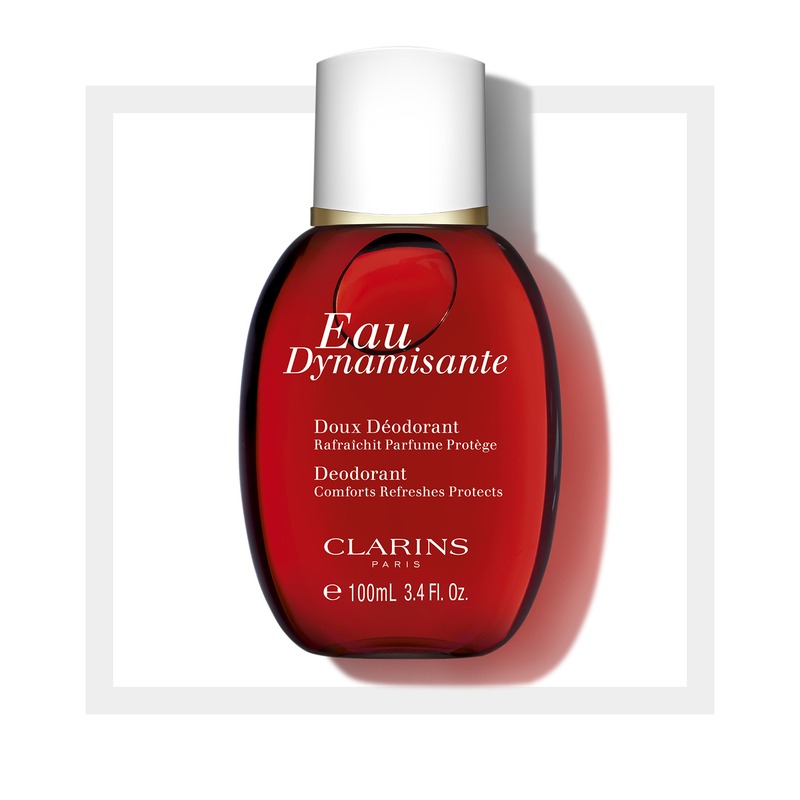 I never write reviews..... Clarins Eau Dynamisante Doux Deodorant Spray or NOTHING! This is for anyone who is still looking for THE 1 deodorant! I m a physical trainer & perspiration is a huge issue for me. This gives me the confidence all day! Have tried ALL the deodorants on the planet, even organic ones that FAILED immediately after application. Has been about 15 yrs since I tarted using Eau Dynamisante. I ❤️❤️ everything about this product, the scent (you can still use your fave perfume/ body mist w/it) & ensure everyone just to give it a try. It is INDEED the deodorant, & I can't live without it! Thank you so much Clarins for making this product. Rated 5 out of 5 by lizaj from favorite summer 'accessory' bought this on the recommendation of a friend, and am loving it - who would have known a deodorant would make me happy .... it works well and a touch of the beautiful scent for hot summer days - thanks Clarins!